Make your home smell like the holidays with AQUIESSE! 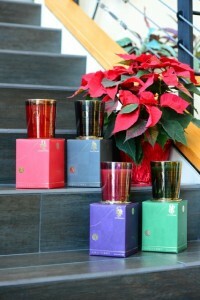 Home Entertainment	Make your home smell like the holidays with AQUIESSE! This is the first year that I’m actually D-O-N-E with all of my Christmas to-do’s. My presents are wrapped, every last one of them, gifts shipped and on time, neighbor gifts baked and delivered and Christmas cards in the mail. They may arrive on Christmas Eve, but that’s kind of how I roll and I’m ok with that. So I’ve been hanging at home enjoying my festive decorations, particularly my FAVE holiday candle, Lone Cypress by AQUIESSE (which you may recall from our Smarty Favorite Things Giveaway earlier this month). I picked up my candle at Bedside Manor, one of my fav boutiques to buy anything and everything for the home. Lone Cypress makes my house smell exactly like the perfect Christmas tree. This candle burns smoothly for hours on end and makes your house smell divine. Smarty tip: When your candle is finished, clean out and use the vase for your pens & pencils ~ it dresses up your office space perfectly! If you’re anything like me, you may not have too many things under the tree. So I often pick up a sercie early in the season as my little treat to myself, for being good all year long. 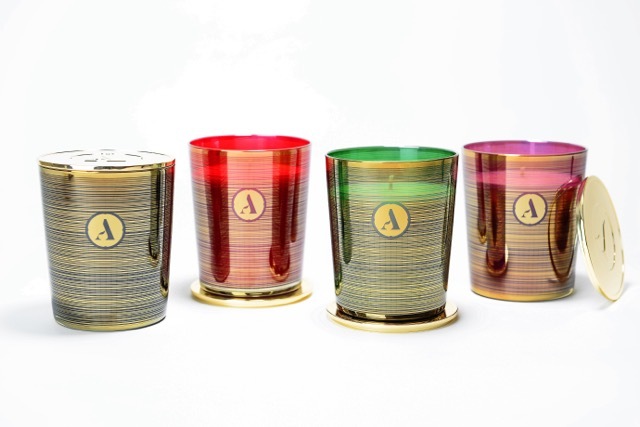 Here’s more on the AQUIESSE holiday candle collection, and a list of where you can pick one up for yourself here in Charlotte. Because you deserve it and your entire fam will enjoy the festive scents throughout your home! A fresh and earthy composition of cypress and pine that invoke an invigorating walk through winter forests. An inviting aroma that blends in the dark wood notes from Canadian balsam and green leaves of thyme. All layered together to invoke the pleasant memories of holidays past. A festive interpretation of quintessential red currant, deep cassis and seasonal citrus fruits, layered with the distinctive, yet seductive aroma from classic oud wood. A truly inviting aroma that captivates the senses with the richness of red pomegranate, layered with an intoxicating envelope of patchouli to evoke mystery. Expressions of classic teak wood and dried sage leaves round out with a warming, yet addictive aromatic experience. The decadence of warm vanilla crème, blended with a hint of nutmeg and jasmine to create a sense of comfort and joy. Glazed red fruits are encircled with the opulent smoke from winter woods and golden amber.